A story from Day Five of Black Lives Matter Week of Action in Schools. The culmination of Black Lives Matter Week of Action in Schools was a powerful open mic poetry reading. 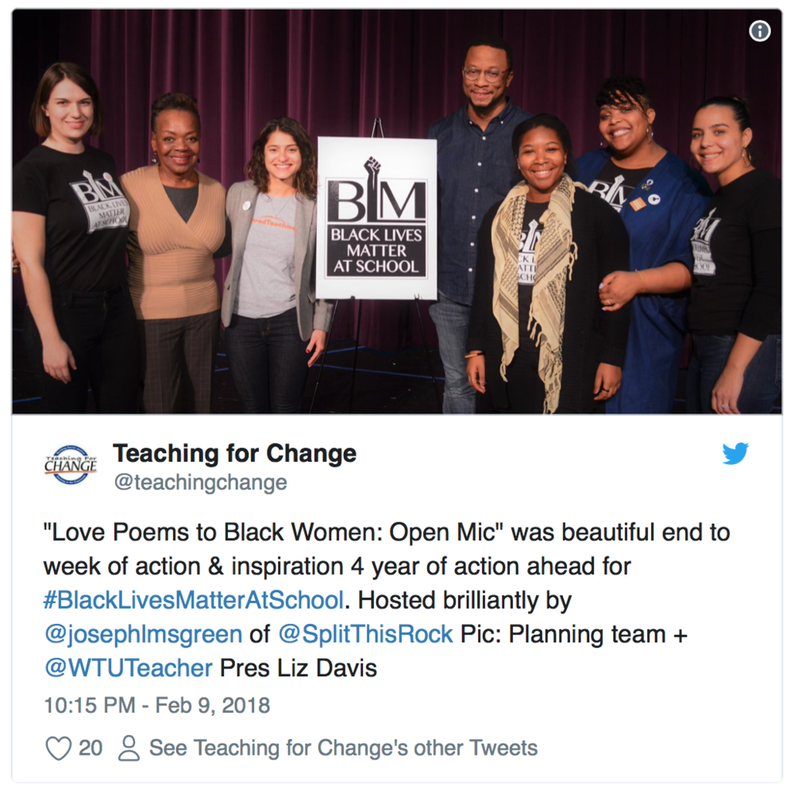 Students of all ages and adults shared love poems to Black women with an enthusiastic audience. The evening was beautifully MC’ed by Joseph Green from Split This Rock and featured DJ BE. Wilson High School (DCPS) generously contributed the auditorium. The event was a wonderful close to this week of action (Feb 5-9) and an inspiration to take action every day, all year long, to make Black Lives Matter at School.